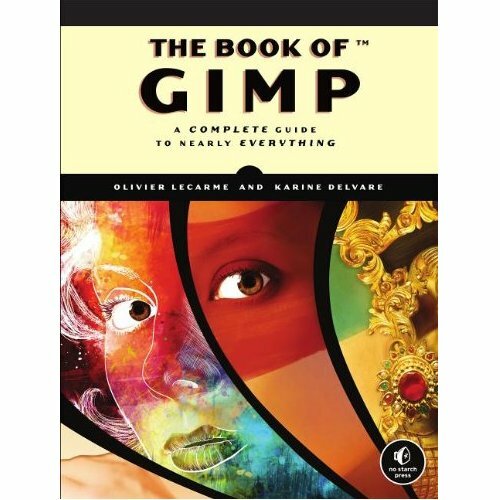 The Book of GIMP: Welcome! Welcome to readers of "The Book of GIMP"! This companion website is a way of communication between the readers and the main author (Olivier Lecarme). Here you'll find a short presentation of the book and of its authors, as well as its table of contents. The forum will allow you to discuss, ask questions, suggest changes or additions. The resources page lists a number of sites about GIMP and the related free software products. You'll also find here the source of most illustrations of the book, chapter by chapter, except screenshots and photos of people. However, an illustration used in several chapters appears here only once. When not published with the permission of their author, all these illustrations are copyrighted along the Creative Commons License. This website will also be used for posting possible errata or additions to the published text. Finally, since GIMP will continue to live after publication of the book, posts will describe the new changes and improvements from time to time. Sorry for this inconvenience (and my long delay in approving your comment). I intended to tell the URL for this website in the Introduction and in the back cover. For reasons I don't remember, or don't know, that did not occur. However, since GIMP is constantly evolving, I have a doubt. If I bought the book now, would I get future editions of the ebook for free? In other words, GIMP is currently at v2.8.6. Let's say you rewrite the book for a hypothetical v2.9.x, because it needs a thorough revision. Would I get the new ebook edition for free? And, in case I wanted to get also the new printed version, would it cost me just $10, which is the current difference between the just-ebook version and the ebook+printed bundle, or whatever this difference will be in the future? GIMP does not change so quickly, and every new version is an incremental improvement to the preceding one. Version 2.10 will probably be an important improvement, but mainly "under-the-hood", and my book will be still usable at 100%. And v2.10 is not anticipated in 2014.